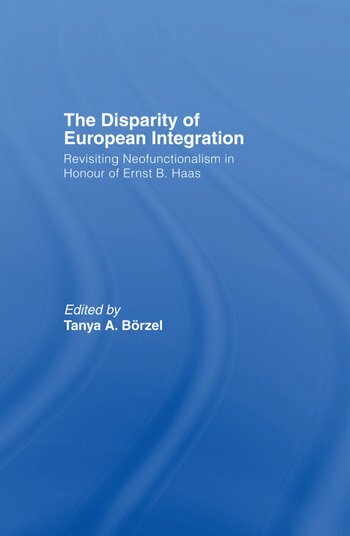 This new study revisits the work of the late Ernst Haas, assessing his relevance for contemporary European integration and its disparities. With his seminal book, The Uniting of Europe Haas laid the foundations for one of the most prominent paradigms of European integration – neofunctionalism. He engaged in inductive reasoning to theorize the dynamics of the European integration process that led from the Treaty of Paris in 1951 to the Treaty of Rome in 1957. The Treaty of Rome set the constitutional framework for a Common Market. Today, a second Treaty of Rome may lay the foundation for a European Constitution that embeds the Common Market in a European polity. Unfortunately, Haas will not be able to witness this path-breaking step in the development of a European political community, which he so aptly theorized almost five decades ago. This is all the more regrettable since students of European integration are more than ever challenged to tackle a major empirical puzzle: After 50 years of European integration, the member states managed to adopt a single currency and to develop common policies and institutions on justice and home affairs. The integration of foreign policy and defence, by contrast, is still lagging behind. This text delivers sharp insights into these issues. This book, previously published as a special issue of the Journal of European Public Policy, will be of great interest to all students and scholars of international relations, the European Union, European politics and Public Policy.